Leslie spotted a bobcat on the hill behind our house on Sunday morning. I grabbed my camera, slipped out the back door, and snapped a couple photos. He sat and watched me; then I left him alone, hoping that he (or she) would go eat some ground squirrels. 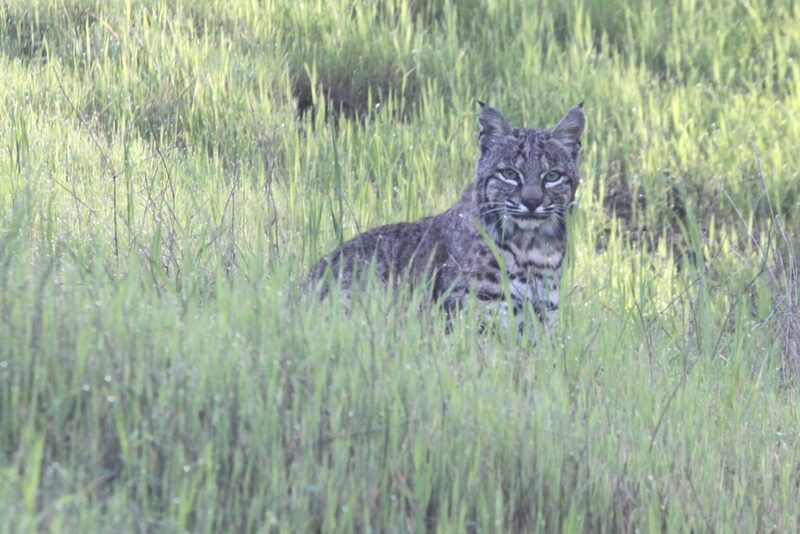 This entry was posted in Nature, Photography and tagged bobcat, Lime Ridge Open Space. Bookmark the permalink.